The Breakdown: Beauty is now in the eye of you, the creative! Beautywebs.net is looking to launch a new gallery site that features the creme de la creme of web sites on the internet, and they need you to help make their site equally beautiful. 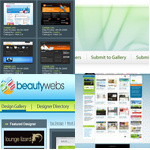 We’re a huge fan of inspiration sites, and crowdSPRING has actually been featured on several of them. Now it’s time for one of our creatives to design one! The Breakdown: FIPPEX is an online capital exchange that needs a print ad for its site that will run in newspapers. They want to target artists, writers, actors, filmmakers, bands, bloggers, theatre troops, comedians, and entrepreneurs. The premise? Helping creatives get paid for the art they create. The crowdSPRING crew is always a huge fan of that concept, so help your fellow artists out. 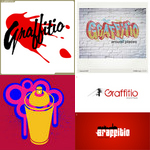 The Breakdown: Graffitio is an iPhone application that finds “Walls” near your location where other people have written about a place – whether a park, restaurant, shop, venue, etc., connecting you to people who have been there before and those who will follow. They need a grungier logo design to make them stand out from the web 2.0 crowd, and they are looking to crowdSPRING’s creatives to make that happen. The Breakdown: It’s interesting to see these projects pop up that really give you full creative reign. 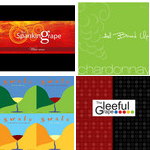 Last time, it was a crowdfunding web site, and now, this small winery would like our creatives to name and develop a visual identity for packaging their new bag in box wines. As points of reference, they mention Rothko, Mondrian, and other mid-20th century paintings. So get your modern on!